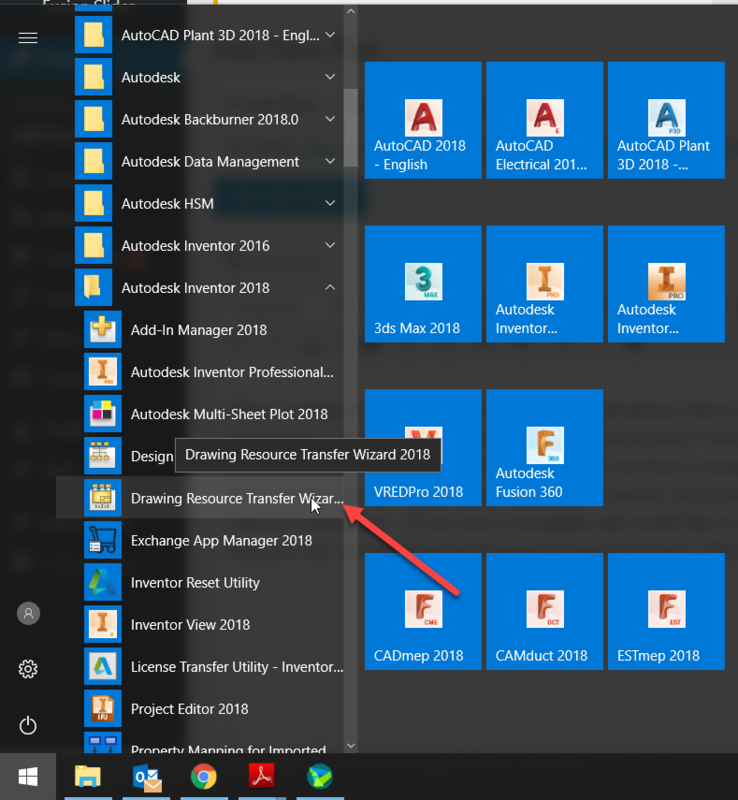 Please note that you have to have Inventor closed for this operation. 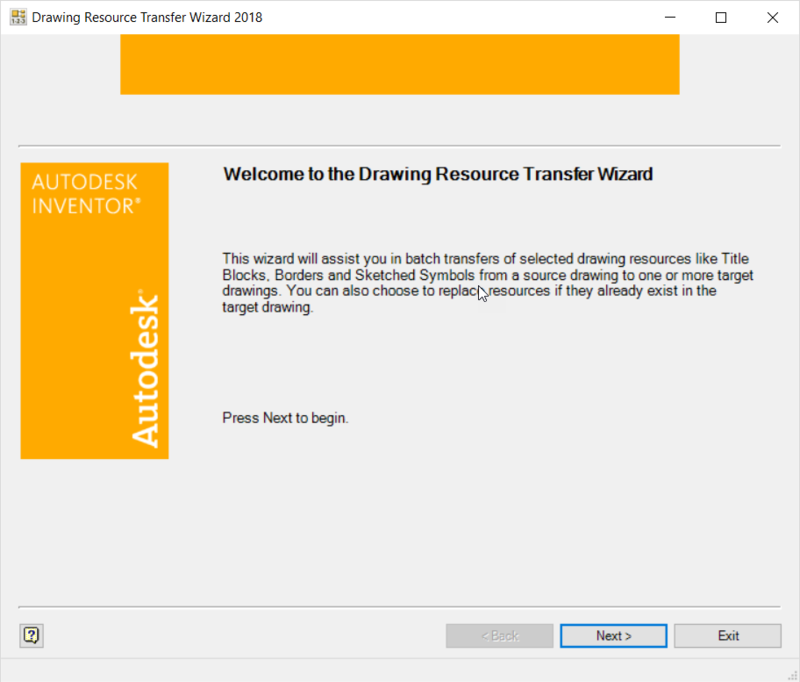 The Drawing Resource Transfer Wizard opens. 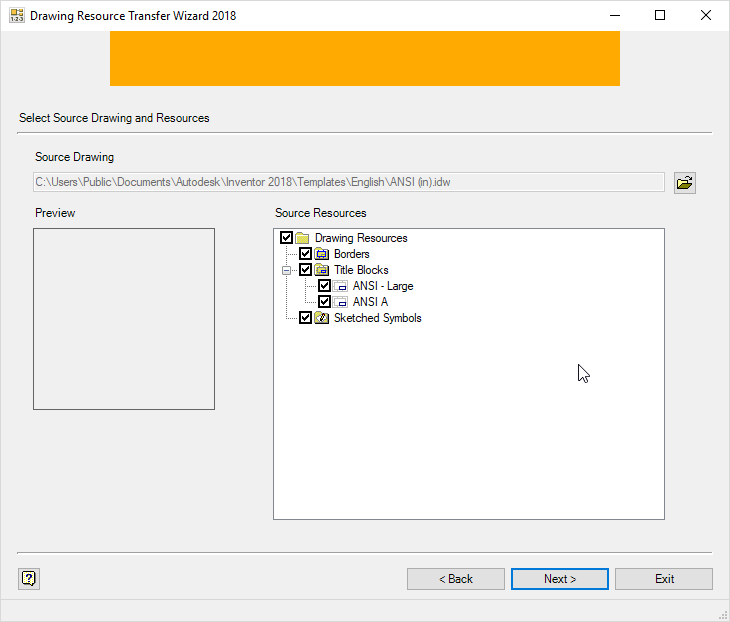 After hitting the next button you will be asked to select the source drawing (the template that you want to copy resources from). It will display the resources that you would like to copy. After selecting which drawing borders, title blocks and sketched symbols you would like to copy over you will then be asked which drawing you would like to copy the resources into. It will also ask if you would like to override any resources that contain the same name as the source and target drawing. Once this is done it will copy into the new drawing and you can start using your new template.